By entering your post code or the name of your home town, you can easily find our dreadstylists closest to you on the map. Trust is essential to a fulfilling and pleasant dreadlocks experience. Feel free to take a look at our dreadstylists and decide who you feel should dread your hair. Most of our dreadstylists offer the option of using a booking tool. Here you are able to choose any available appointment and book it directly. Arrange a free consultation with a dreadstylist close to you. If you experienced any issues with one of our dreadstylist or if you need any help in general, feel free to contact customer services. Before contacting customer services, please take a look at the FAQ-section. Maybe you can already find what you’re looking for here. Will dreadlocks look good on me? Of course, we can not tell you in advance if you will like yourself with dreadlocks, but we can say that we have never created dreads that we considered unflattering afterwards. In our experience, dreads make a person either more beautiful or they remain as beautiful as before. There was honestly never a total catastrophe when we created dreads. The important thing to know in advance is that dreads take some time to mat – they become more beautiful over time. Also, the achievable thickness and quantity of your dreadlocks depends on your hair structure. We will pay special attention to choose the ideal volume for the shape of your face. What do dreadlocks cost at the Dreadfactory? The price is made up of two things: The manual effort and the time we need to realize your dreadlocks or extensions. Each head is different and therefore needs to be considered individually. We advise you on the individual workload and communicate transparently. Most of our dreadartists have a fixed hourly or daily rate, adapted to their speed. For some services like crocheting dread extensions, some also have a flat fee. Since our dreadartists are all working freelance, we do not have a standardized price list. Simply request the price list from the dreadartist of your choice. Unfortunately, our customer service can not give you any information about the price. What is the minimum hair length for dreadlocks? The minimum hair length is 20 cm for dreads without extension and only 15 cm for dreads with extension. Dreadlocks initially tend to come loose most likely at the base or tip. If the hair is very short, then the dreads are more or less only made up of base and tip and therefore particularly vulnerable. In order to have dreadlocks done, you should have a minimum hair length of 20 cm in the area you wish to get done. Although it would theoretically be possible to create dreads with shorter hair, we strongly advise against it. With our length requirements, your dreads get the stability they need to look good in the long run. Although there are some private dreadmakers who advertise creating dreads even in very short hair online, we do not consider these offers reputable and often meet their clients in emergency appointments. If you plan to extend your dreads, you only need a minimum hair length of about 15 cm because the built-in human hair creates additional stability. Will I lose hair length? It may well happen that your hair will appear shorter by creating your dreadlocks. The extend to which this happens depends little on the techniques used to create the dreads, but rather on the condition of your hair. Unfortunately there are rumors circulating online that some techniques are only suitable for certain lengths or diameters of dreadlocks. That’s simply not true! If applied correctly, both backcombing and the twist’n’rip method can be used for all types of dreadlocks. If all your hair is exactly the same length very full down to the tips, you can assume that you will almost completely retain your current hair length. There will only be a small loss of optical length from backcombing your hair. However, consistent length on all hair is very rare. Often, you will see tapering, meaning the thinning of your hair towards the tips. Most hair then ends somewhere in the middle with only a few hairs creating the optical length. If you want to find out how long your dreads will be, section an area of about 1.5 x 1.5 cm on your head and braid the resulting strand of hair. At which point does the braid become thinner and thinner? At which point can you barely braid it? You will notice that your optical hair length and actual hair length are different. Where most of the hair ends and where you can no longer braid properly, your future dread will end. At that point, your open tip will start, if you do not want it crocheted and closed. Attention: Your hair length varies depending on the position on your head. The hair at the temples and neck is usually much shorter than the hair at the top center of the head. It is best to do the braid test in different areas and consider, if necessary, partially extending some dreads with European human hair to achieve a consistent result or a certain length (e.g. ponytail length). Depending on how much you crochet your dreads later, they will also shrink up during the matting process. That’s cool because there’s more volume as they will also get thicker this way, but sometimes inconvenient if you do not want to lose length. In this case, you should counteract with techniques like palmrolling and crocheting accordingly. At your appointment, we show you these techniques in detail. Is there a minimum age for dreadlocks? Under 14 years: If you want to become a complete dreadhead, you should have a minimum age of 14 years. Unfortunately, until your 14th year, your head grows so much that the dread sections on your scalp can become too large. In addition, for children, we do not consider it appropriate to create pain in lengthy sessions and therefore completely refrain from creating dreads on them. Alternatively, you can have us make partial dreads: a few dreads with optional decoration. This way, you can easily get used to dreads and get a feel for the necessary effort to properly care for your dreads. Under 16 years: If you are under 16 years old, please be accompanied by a legal guardian. They do not have to be present all the time, but a short conversation at the beginning would be great. If you want to pay us yourself and your legal guardian is no longer present at the end of the appointment, we require a consent for the payment of larger appointments (because of the so-called “Taschengeldparagraph”). Under 18 years: If you are between 16 and 18 years old, we require a consent from your parents for the payment of larger appointments (because of the so-called “Taschengeldparagraph”). Every person has a very individual experience of pain, and perceives the crocheting of the roots differently. Of course, it can twinge if you pull the hair all day long. Some customers are very sensitive while others fall asleep and feel nothing. Just take a deep breath, relax and continue to breath. Think about your dream dreads and how beautiful the result of the process will be. This reduces the pain and after your appointment, you won’t have to feel it again for some time. In addition, it is helpful if you are well rested, had a good breakfast and (for the ladies) if you’re not on your period at the day of the appointment. The more relaxed you are, the more relaxed the crocheting will be for you. How much maintenance will my dreads need? How much you need to care for your dreadlocks after they are created depends both on your hair structure and your personal preferences. You can crochet them very accurately so they stay firm and even without forming any bumps or loops, or you can let them be fluffy, evolving in a more natural way. Both are totally common practices and it simply depends on your personal preferences. At your appointment, we will give you a little introduction on how you can maintain your dreads yourself, so that you are not dependent on us in the future. If you let us create your dreadlocks, you’ll get a dread-life-long support from your personal dreadstylist who will assist you with tips and tricks. Of course, you are also free to simply let us do the work for you and book an appointment for professional dread maintenance. Do the roots already grow as dreadlocks, or do I have to redo them after a while? Only very few people are lucky enough to have their new hair simply regrow as already matted dreads without any root maintenance necessary. So you probable will have to redo the roots from time to time. At your appointment, we show you which method is best for you and how you can use it yourself. Of course, if this seems too time-consuming, you can also regularly make an appointment for roots maintenance; many do it every three to six months, with the interval depending on your hair growth and how neat you like your dreads. Can I comb out dreads? Depending on the age and degree of matting, it is possible to comb out dreadlocks with a lot of effort. We are happy to give you tips and tricks to help you gently comb out your dreads. The feedback from our customers has always been very positive and so far nobody had to get a buzz cut. How healthy your hair looks afterwards depends on what you did to them while they were dreads. It is quite possible that you can achieve a nice result with one, two washes with a good conditioner. However, having your hair trimmed a bit afterwards will usually be necessary. Of course, we can not give you a guarantee, because as always this depends on your individual hair structure. Do you also do „natural“ dreads? This question actually contradicts itself. Natural dreads are dreadlocks that are caused by no longer combing the hair and letting it mat freely. As soon as you divide them, twist them into shape, crochet or do some backcombing, they are no longer “natural” but artificially created. Nevertheless, you can create a look to such as, for example, YouTube dreadstar Anna April, with certain tricks. For that, one would choose to leave long bangs undreaded, ruffling them between the dreads to create a more lose and wild look. In addition, you can decide after the creation of your dreads, to no longer crochet the lengths of the dreads. This you’re your dreads become a little fluffy with slight loops and bumps maybe, which among other things constitute the natural look. Attention: never ever completely neglect your roots, as your dreads can eventually grow together into one large felt carpet. Do I need an appointment or can I just drop in? Since most of us do not have a shop, but prefer to work at home or at the customer’s in a private, cozy living room atmosphere, an appointment must be made in advance. How long are the waiting times for an appointment? Although we are the largest professional supplier of dreadlocks services and can therefore offer many appointments, we often have waiting times of one to four months depending on the location. Please do not let this discourage you, because before we create your dreads, we want to give you thorough advice and tips on preparing your hair anyway. Shorter appointments for dread care or partial dreads are usually faster to get. And sometimes appointments become available at short notice, which can then be reassigned. If you want to know for sure, just click through our dreadartists and take a look at the booking pages, where each location has an online calendar with their available appointments. How long are your mail response times? You should receive an answer to your email within 48 hours. If that did not work, just contact our customer service, maybe something went wrong. Can I bring company to my appointment? If you would like to bring an additional person or an animal to your dread appointment, please talk to your chosen dread stylist in advance. For many, this is not a problem, but in some cases, the facilities or circumstances are just not suitable for the cause (for example, not childproof, etc.). If you are under 16, it would be great if a guardian could accompany you to the appointment. We would be really pleased to receive your honest feedback about our work and our products. 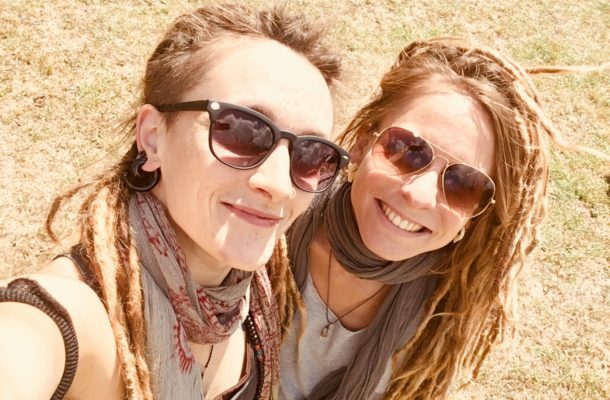 We also love to see pictures of you with your DreadFactory dreads in social networks, so we are happy about a #dreadfactory or a link to our website in your photos. DreadFactory is already well known in Germany, Austria and Switzerland, but we’re not a large anonymous group, but dreadlocks-loving young people who are passionately trying to fulfill some small and big dreams. The Poppydreads brand stands for different types of synthetic dreadlocks. They were made of artificial fibers (so-called Kanekalon) in sometimes several days of hard work and processed into artistic-looking sets. Each Poppydreads set is unique, as handicraft never allows for completely identical products. At our Poppydreads locations, you can also get Poppydreads customized to suit your hair color, as well as professionally and durably weaved into your hair. There you will also get thorough advice and general care instructions. For more information, visit the Poppydreads website at www.poppydreads.de or contact customer service at elli@poppydreads.de . Where does the human hair you recommend come from? We buy the European hair our dread extensions are made of in Germany. This hair comes from all over Europe and is bought from people who cut off their hair for fashion reasons. Especially in Eastern European countries, it is well known and common that human hair has a monetary value – something that is not that common in Germany yet. Since many seniors have kept old cut-off braids, most of the hair is completely untreated and can be sold at a lucrative price. But even dyed European hair is still much better for dreadlocks than chemically treated and heavily damaged Indian or Asian hair. Which human hair lengths are there / do you sell? You are confused why we only offer a maximum of 40 cm long human hair when there’s up to 70 cm long human hair available in other online shops, although dreadlocks are known to lose some of their optical length? – Sure, that seems strange at first. Actually, in those mentioned very long extensions only about 10% of the hair is as long as stated. In those extensions, the hairs of many different people are mixed and a few longer hairs are added to many short hairs to be sold at a higher price. The actual length of 60-70 cm long human hair extensions is usually only 35-40 cm. Thus, the result after the dread process are extremely long tips that are too thin to be dreaded, which are usually shortened by the customer later on anyway. So to protect you from unnecessary expenses for supposedly long hair, we offer only a maximum of 40 cm long hair. Since our European hair always comes in whole braids as cut off from the wearer, shorter hairs in a braid can of course be included, but the differences are usually not as big as with industrially sorted hair from India or Asia, so that our hair does not shorten so much visually in the dread process. What is the price for dread extensions in the DF Shop made up of?